When you talk about wastewater treatment plants, in many cases, you are talking about facilities that are built, operated and maintained with taxpayer dollars. So keeping these plants running smoothly and efficiently depends greatly on using the right parts and timely replacement of those parts. 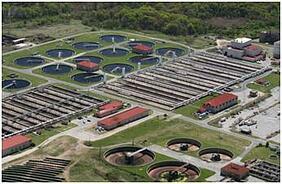 That’s why Emerson Bearing formed a special wastewater treatment facilities division. To keep pumps, drives and valves in a water treatment plant working efficiently 24/7 requires bearings and chains of the highest standard. Emerson Bearing’s offerings include chrome, stainless steel and engineered thermoplastic components. Worldwide sourcing provides products at several price points. In addition to standard products, related and specialty products to improve efficiency for bearing replacement at wastewater treatment plants are available. For example, Emerson Bearing sells the Craft Split Roller pillow block, which allows for rapid replacement, reducing downtime and costs. As part of the new division, wastewater treatment customers have access to industry specialists for recommendations on the right bearing. Emerson Bearing Marketing Specialist Mike Quinn is responsible for the Wastewater Treatment division. He can be reached by e-mail at mquinn@emersonbearing.com or by calling 1.800.225.4587.